Last year, during the inception of the Galaxy Note 8, apart from the dual-camera upgrade, 6GB of RAM, slightly bigger screen size, and the S-Pen accessory, there was not much difference to raise the bar of the flagship phablet against the Galaxy S8 and Galaxy S8 Plus. 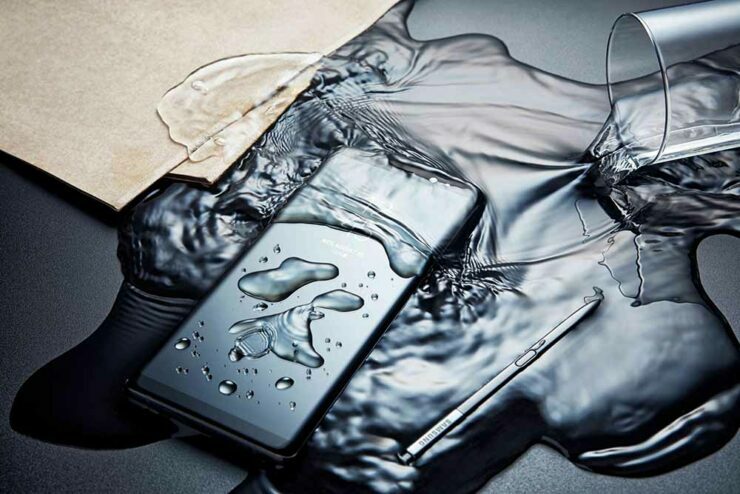 The Galaxy Note 9 might change that completely from a hardware specifications perspective, even though it might still feature the Exynos 9810 that is found in the Galaxy S9 and Galaxy S9 Plus. Ice Universe is an active member of the Twitter leakster elite club where he manages to provide valuable information related to the release of Samsung-branded smartphones. Of course, not all of them are accurate but this particular information related to the Galaxy Note 9 appears very interesting and we will tell you why. For starters, Samsung has already started selling the 128GB and 256GB storage models of the Galaxy S9 and Galaxy S9 Plus though we’re wondering why the company did not make this move during the very first unveiling of the flagship duo. After hearing that there is a slight chance that the Galaxy Note 9 might feature 512GB of internal storage, it is not as crazy as it sounds. Only a while back, the Huawei Mate RS Porsche Design was released with the same amount of internal memory, and the Lenovo Z5 has also been teased to provide overall storage of 4TB (yes you read that correctly). Furthermore, seeing 8GB of RAM in the Galaxy Note 9 might be a way for Samsung to compel customers to forget about the Galaxy S9 Plus and pick up the flagship phablet instead since the latter features 6GB of RAM and will definitely be cheaper once the upcoming handset is officially released. The battery capacity of the upcoming Galaxy Note is said to be larger than the cell present in the Galaxy S9 Plus so the little things always count when building a flagship that people want. In addition, the OnePlus 6 also comes in a model that featured 8GB of RAM, not to mention that an 8GB RAM variant of the OnePlus 5T was launched last year. Do you think Samsung will be able to go through with this ‘not so crazy’ idea? Tell us down in the comments.